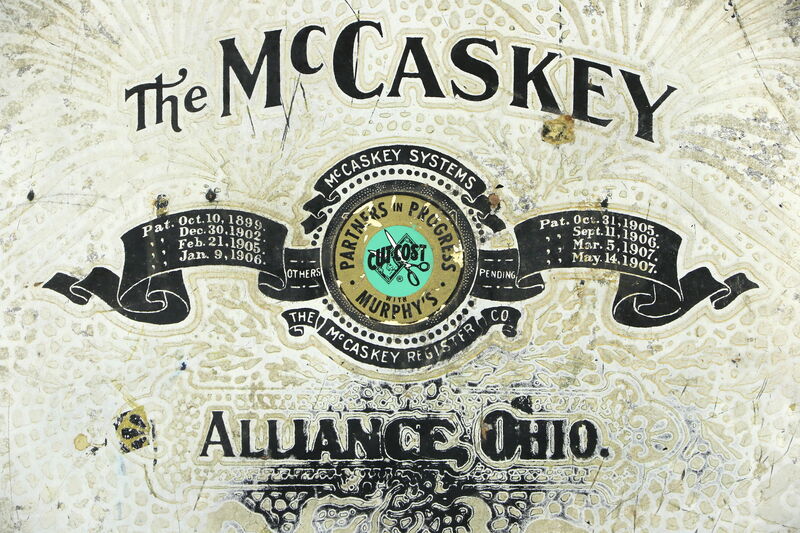 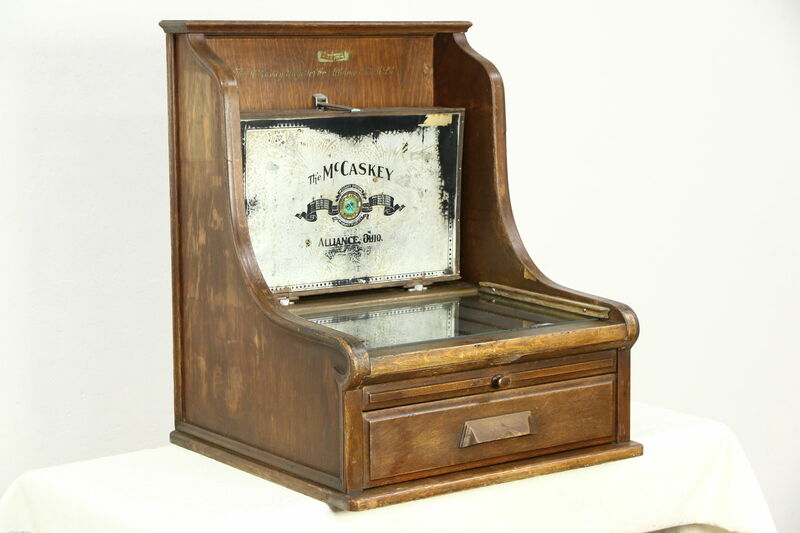 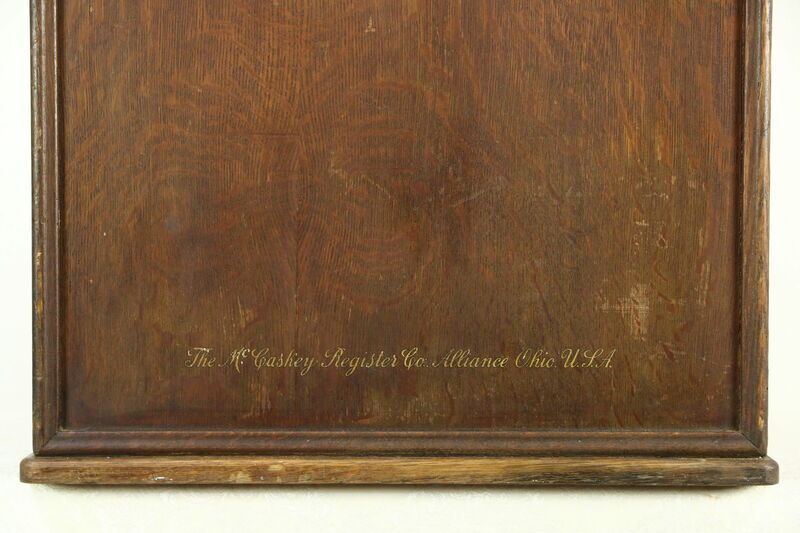 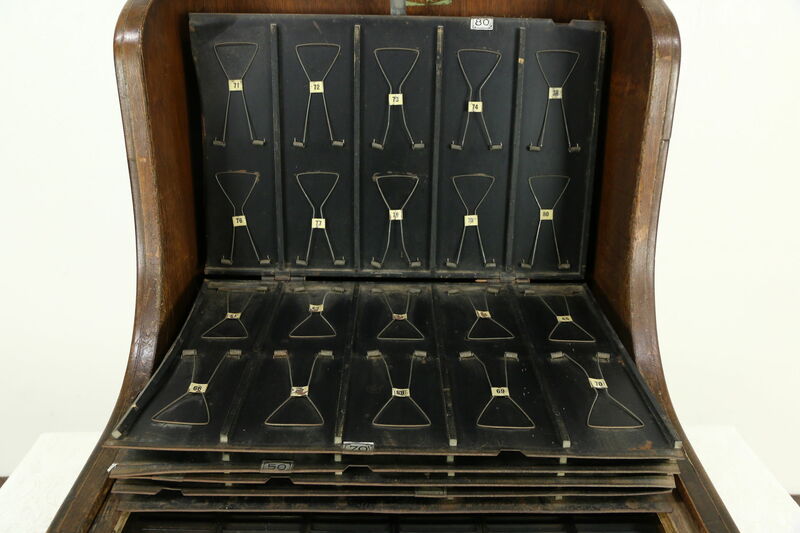 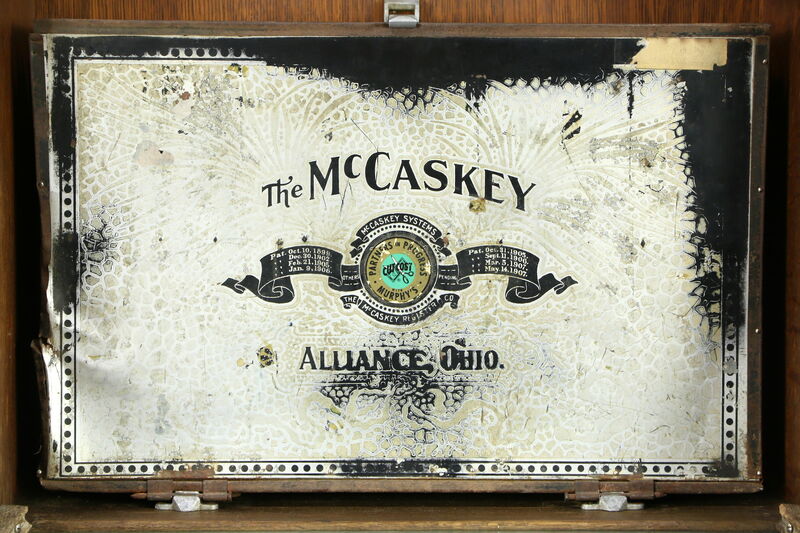 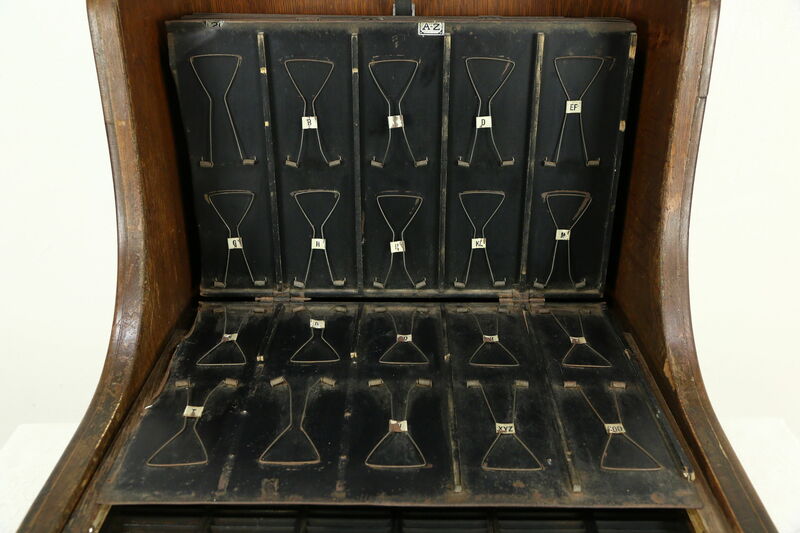 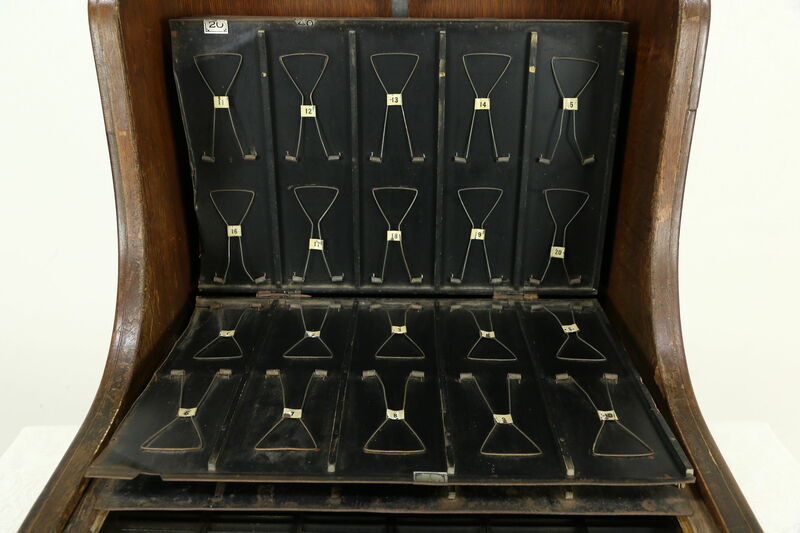 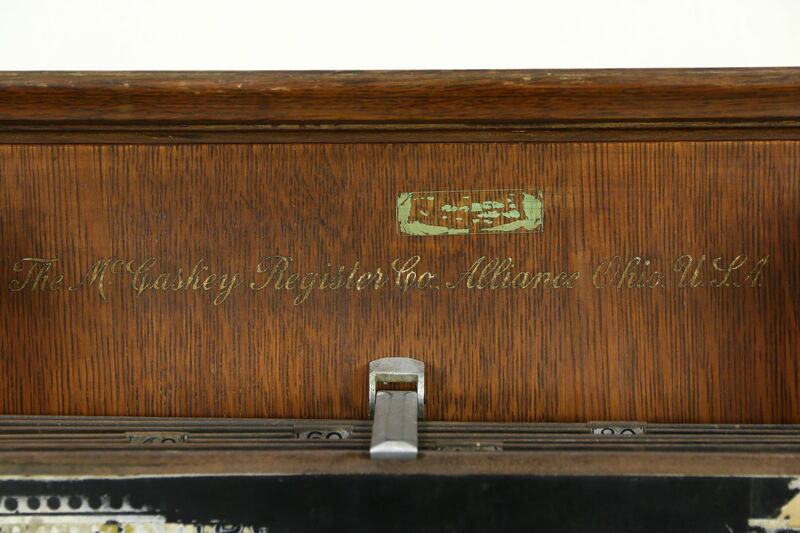 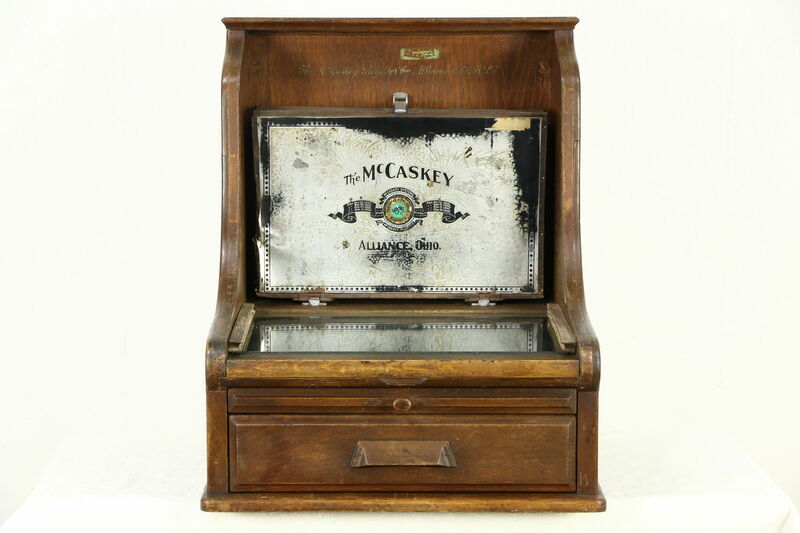 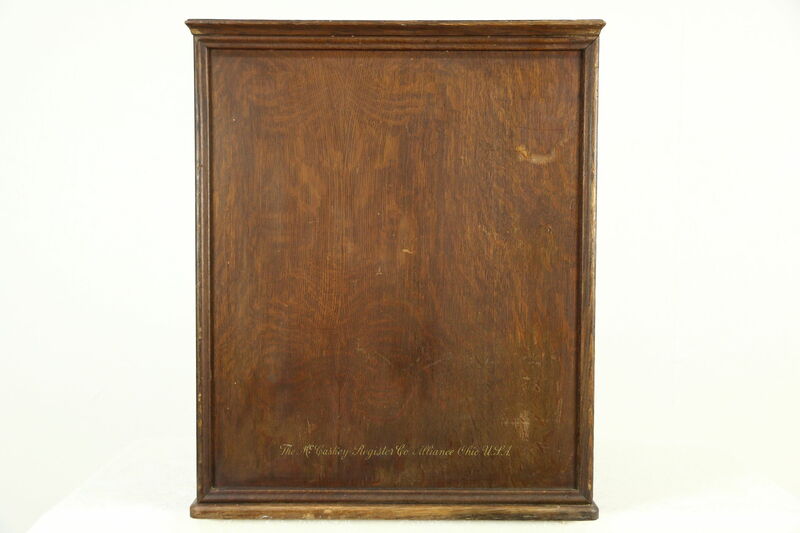 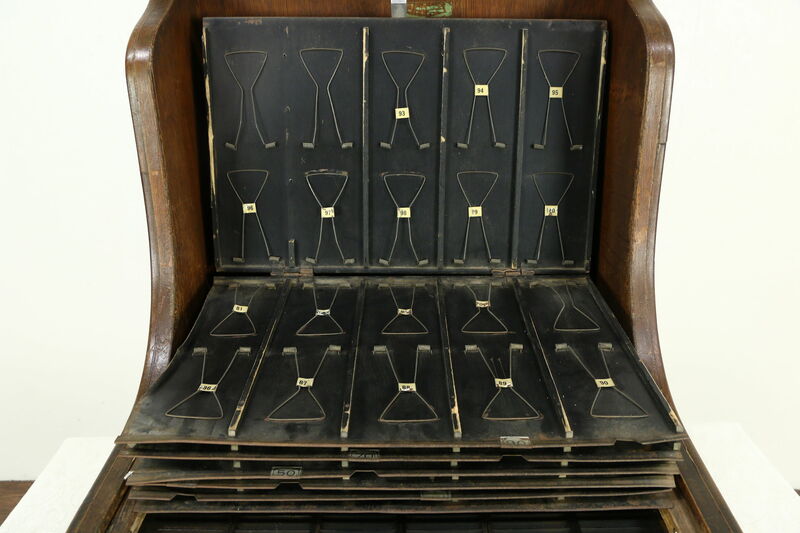 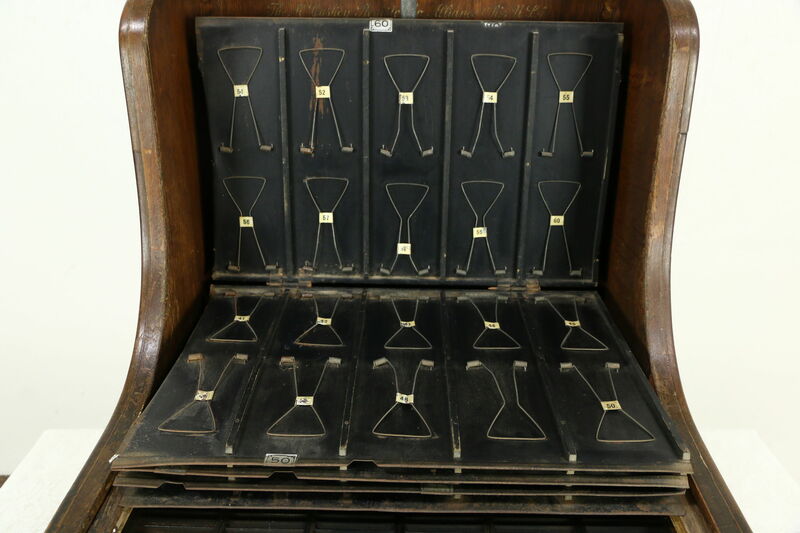 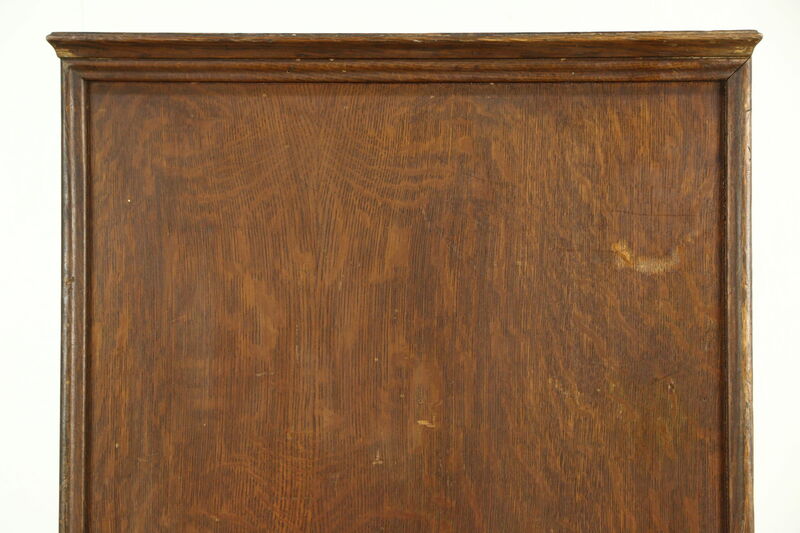 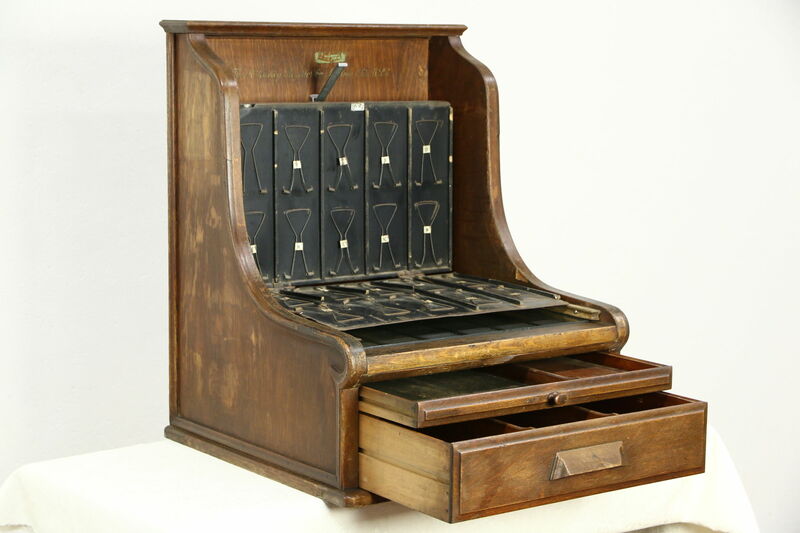 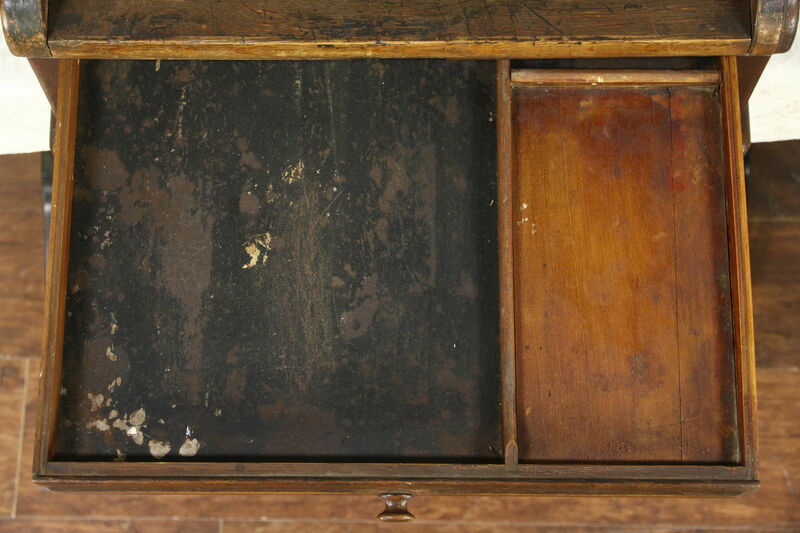 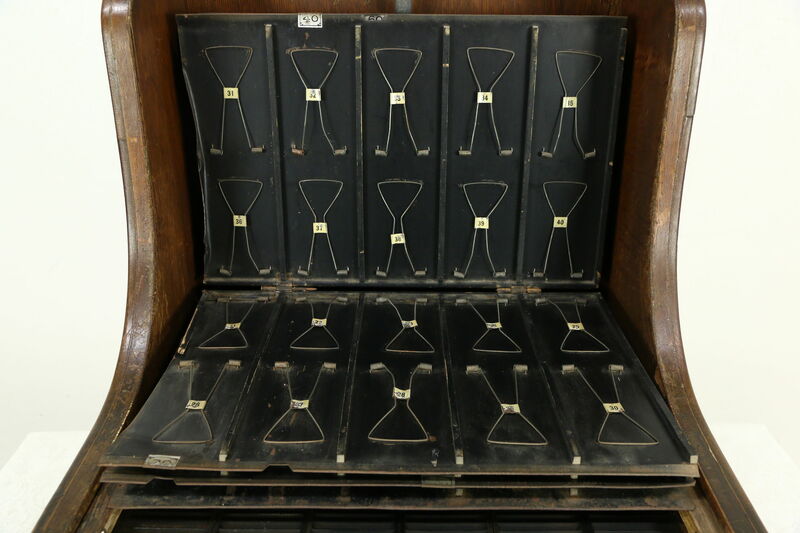 A countertop cabinet filing system was signed "The McCaskey File of Alliance, Ohio," about 1900, and would be useful for a collector. 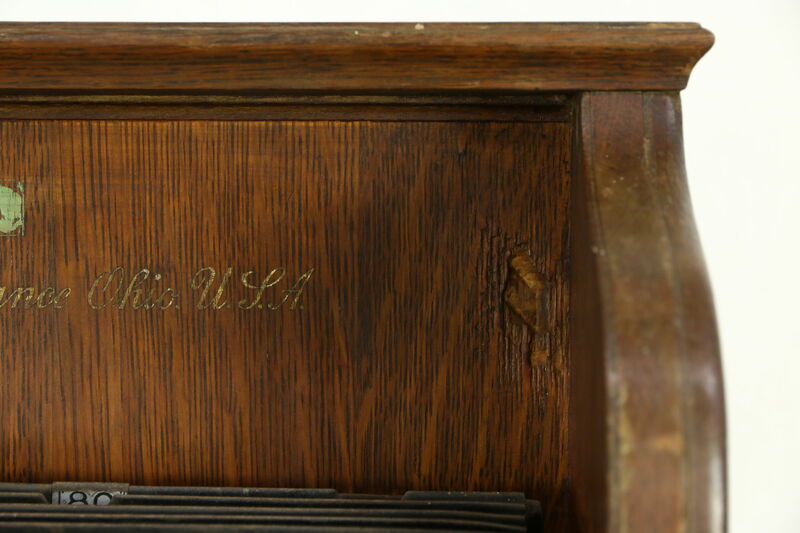 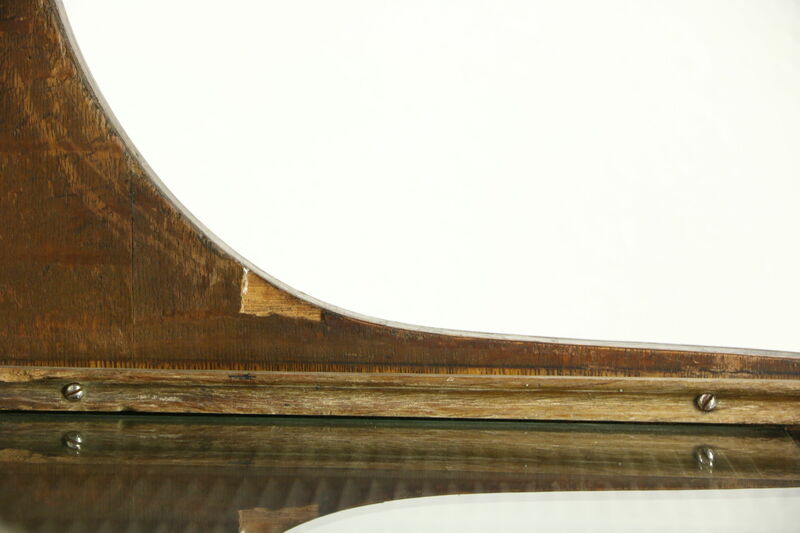 All original, the solid oak case has a charmingly well worn finish with the original signature. 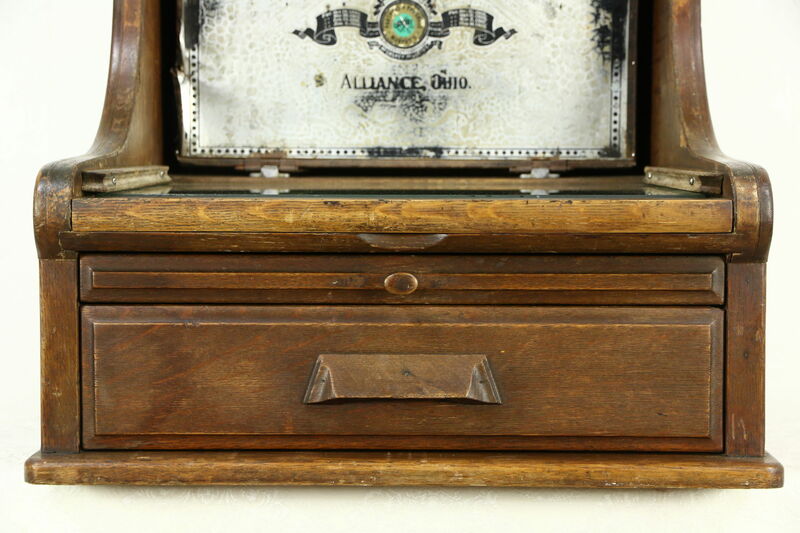 Three 4x6 card file drawers in the base have adjustable pushers on this American made antique office furniture. 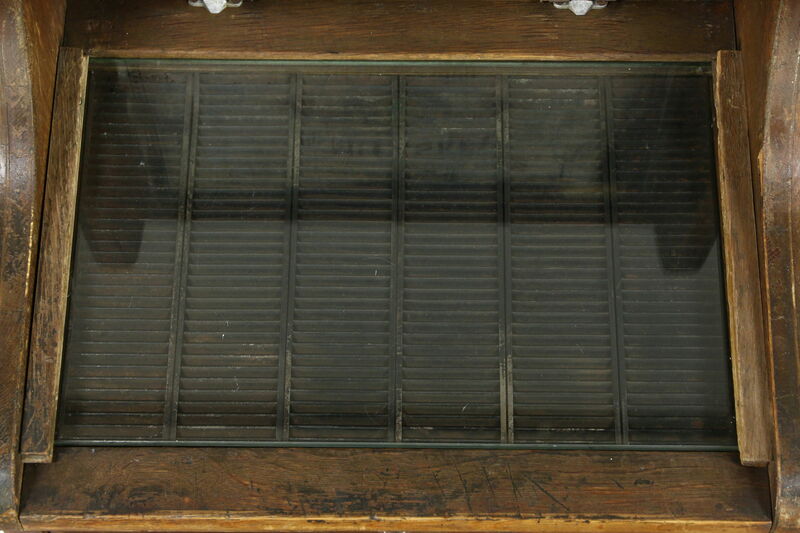 The glass top covers slots for small cards. 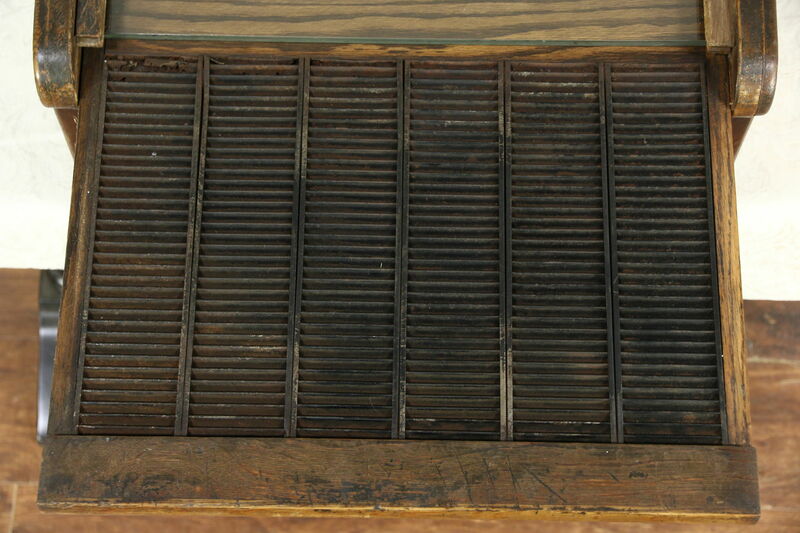 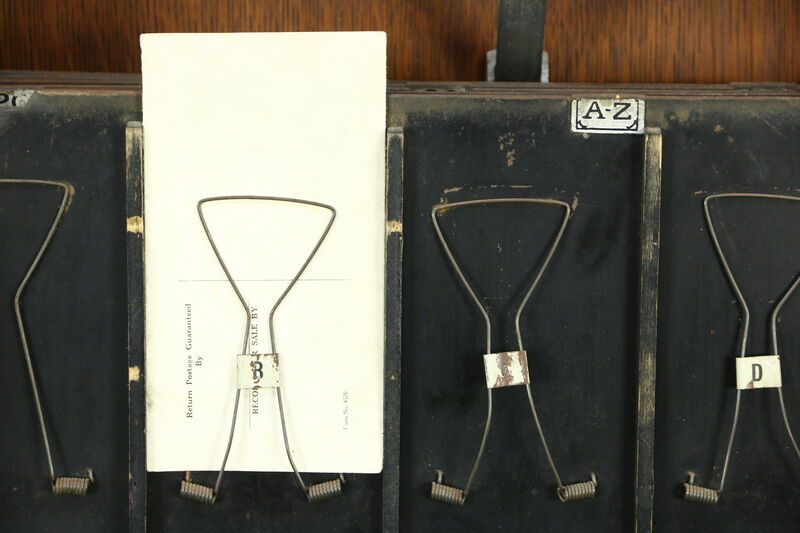 Above are tin flip panels with spring clips for cards or notes, also worn with a few dings and rust for character. 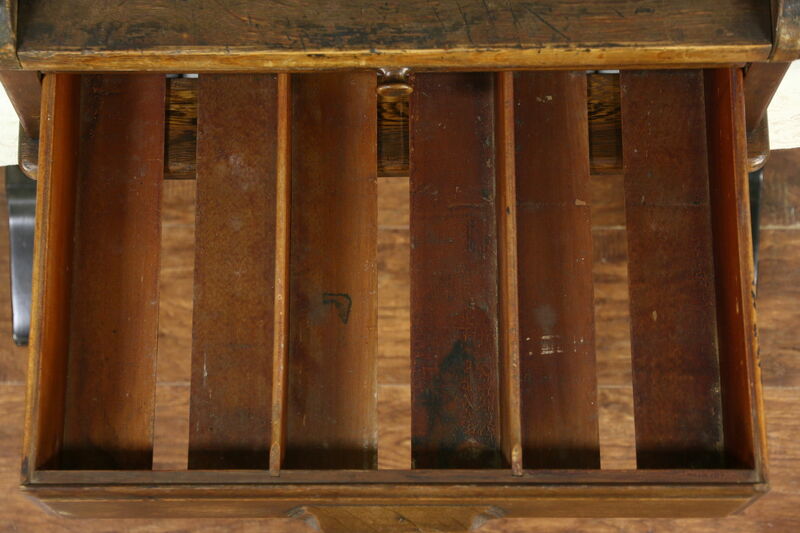 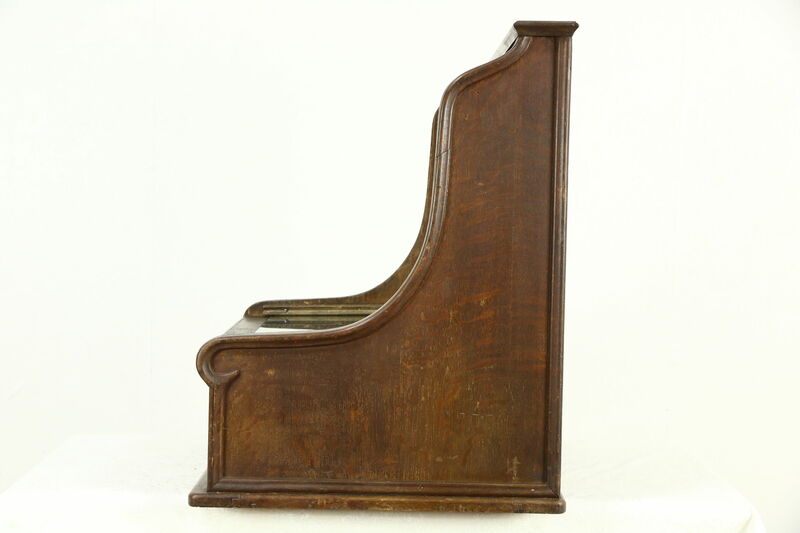 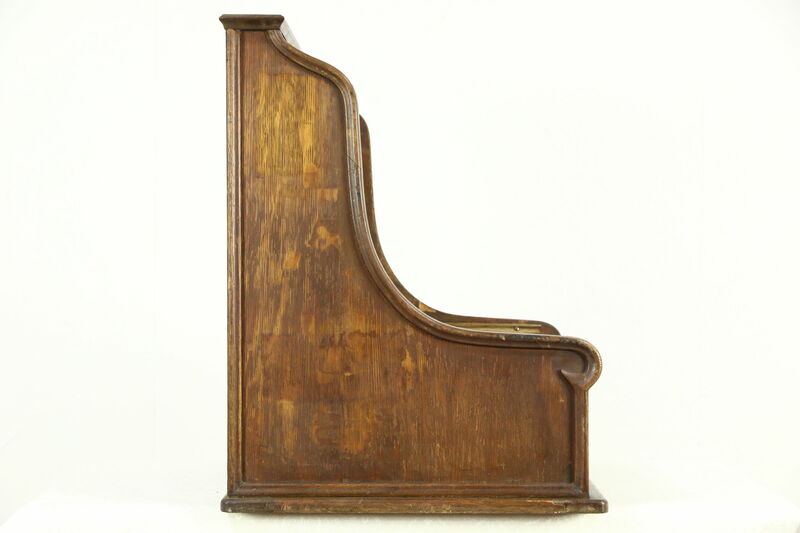 Overall size is 23" wide, 22" deep and 27" tall.